Last weekend I got a coupon from my friend- which she bought from Groupon Indonesia at 89K only. She gave me the coupon because she knew that I really wanted to cut my hair but I got tons of excuses to avoid it. Like, is it only me or what?! I think hair cut is a big decision because it is freakin' hard to grow my hair back. When I saw the coupon, I was shocked because she purchased it at 89K only (Yap, I repeated it) for a package of: hair cut + wash blow +spa madu / susu. Plus... it is at Gorjes Salon Senopati. Wow... I mean, it is beyond cheap! 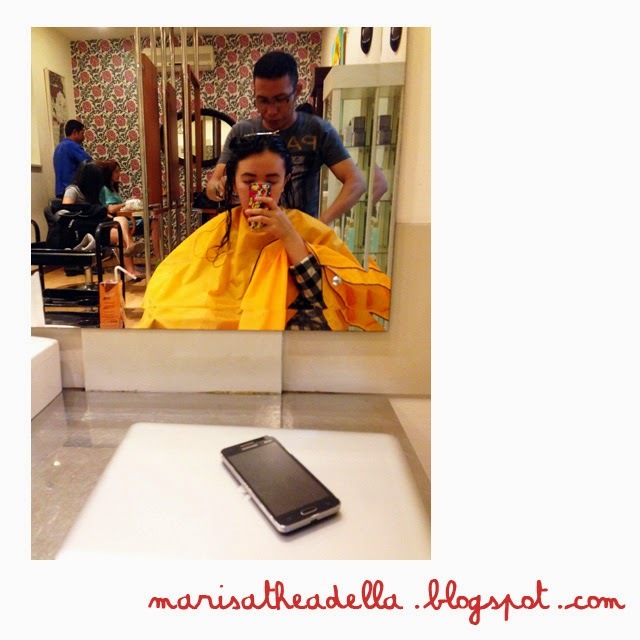 Since the salon is always fully booked, it was quite hard for me to make an appointment during weekend. So on the 24th of December, I could finally claim my coupon at 5.30pm. I got there quite earlier, so I had to wait for a while. 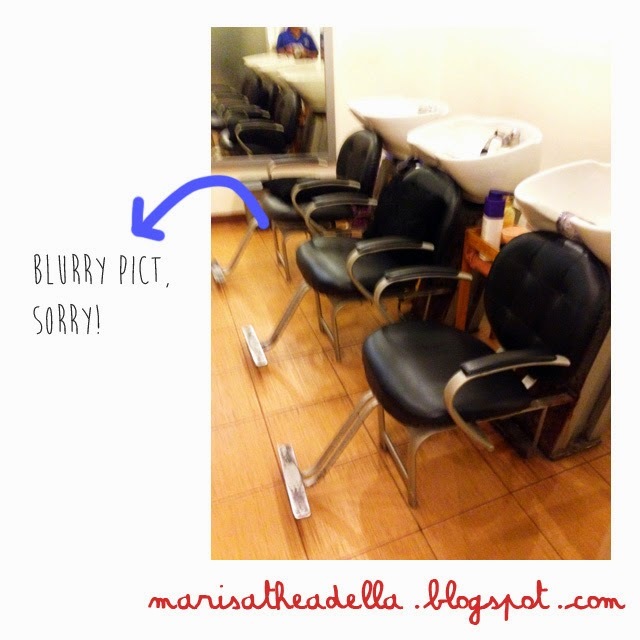 It was actually my second visit to the salon, so it was not quite special. The service is good, but they are just simply crowded all the time. When you enter the front door, then this is the view on your right side. So you can see that there were so many people, even their extra rooms were full as well. I thought I was going to wait for long, but nope... they did it fast. So, I like it! Here are the washing area thingy (sorry, I don't know what to call it). The picture is quite blurry, because I stupidly erased the clear one. Sorry, but I bet you still can get the view. First, I got my hair spa treatment. There were two options between milk or honey and I chose milk- for no specific reason. Unfortunately, I was not satisfied with the therapist. I am not sure whether it was because I was using the coupon or not, but she was just terrible. She didn't do my hair well. So it was a turn off for me. So then I started to lower my expectation for the next treatment- which was hair cut!!! Luckily, I got the hairdresser that I think did my hair last time. So then he asked me politely what I wanted him to do with my hair- which was not much.. just trim! Then he started to do it with his magic hands. I love his work very much, he did my hair very well and he also got a great skill in blowing my hair. 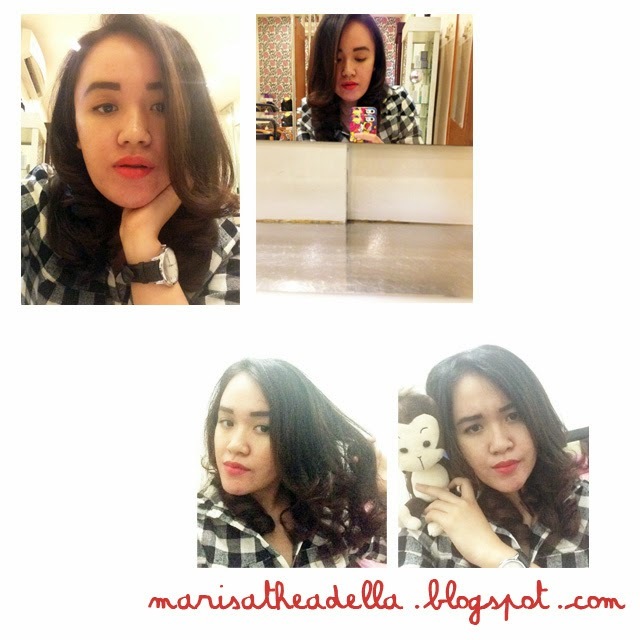 For me, salon is all about hair blow. So I love him!! As addition, I got myself an extra pedicure treatment. It was not included in the coupon so I just had to purchase it separately. Umm.. it costs me 100K. I am totally okay with the price, but I don't think the service worths 100K. Maybe the service + the place = 100K kinda thing. Or, maybe because they were about to close.. but still, I was 70% satisfied I can say. Above is my pictures collage right after the treatment. I love the hair spa, it lasts for two to three days. 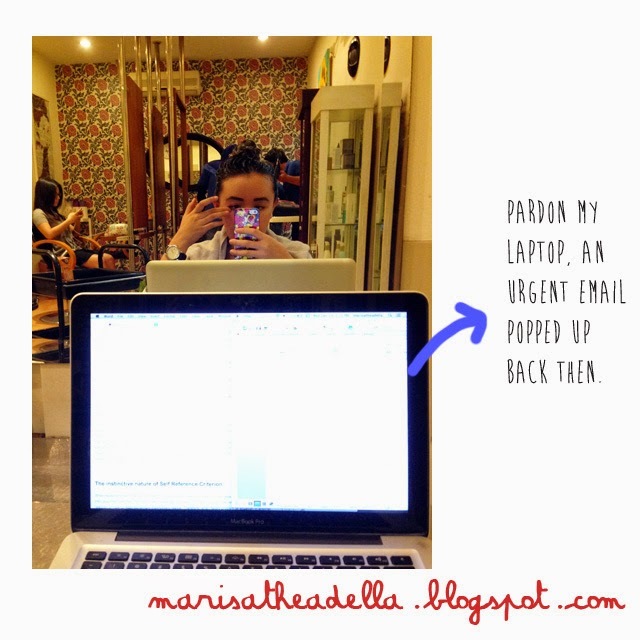 I like the salon ambience- minus the crowd. I like the service- minus the hair spa girl. I like the hairstylist- very much! I like the pedicure- but it was still below my expectation. So just incase you want to purchase the coupon, then simply click the link above.